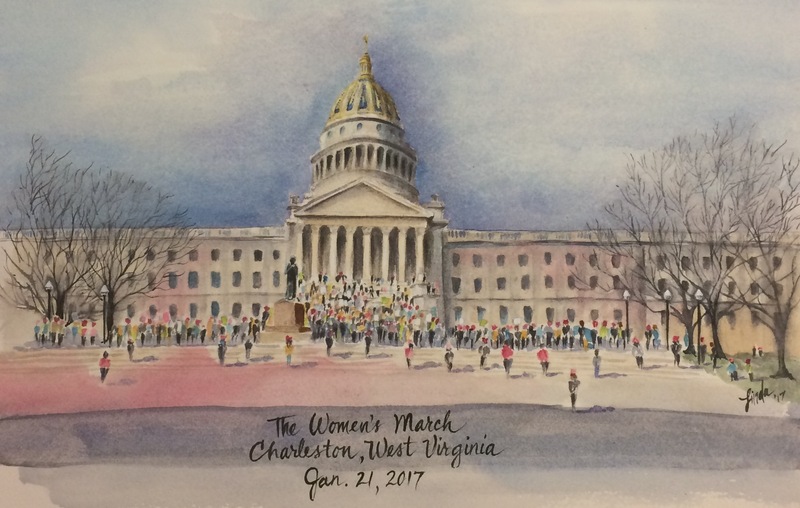 I attended the Women’s March in Charleston. The original’s 12″ x 16″. I now have prints for sale. in other words, candidates who pledge to NOT take $$ from multi-national corporations, SuperPacs, or special interests groups. ← Fabric Keychains and More!